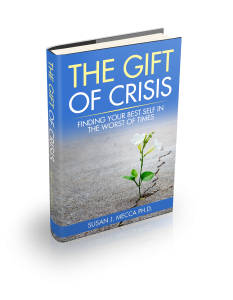 Psychologist, author, and organizational consultant, Dr. Susan Mecca provides hope, inspiration, and practical strategies for people who are going through a life crisis. She draws from thirty years of working with people in crisis and from her personal life experiences. Susan’s belief is that we can choose how we will approach the crises in our lives, stay whole and find the potential for personal growth and transformation during the most difficult challenges in our lives. Susan’s experience with the crucible of crisis occurred over the course of three years when her son, Nick, was diagnosed with cancer and Vito (Susan’s husband and Nick’s father) spent nine months in hospitals recovering from a neurological disease that paralyzed him. While her son was still undergoing chemotherapy, Vito was diagnosed with cancer. One year later, Vito died. As an experienced and polished speaker, she has presented nationally and internationally for audiences ranging from from truck mechanics to CEOs. 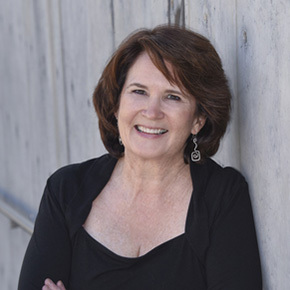 As a writer, she has been published in multiple professional journals and been a guest website contributor, podcast guest, and webinar presenter on many topics. Dr. Mecca also has facilitated workshops across the globe as well as taught as an Assistant Professor of Psychiatry for the prestigious UTSW Medical Center in Dallas, TX. Working with people to help them turn tough times into transformation has become a family calling. Susan’s son, Nick, is finalizing his graduate degree in Clinical and Mental Health Psychology and current works with adolescents in crisis. He is healthy and cancer free.